Callahan Garrity is the owner of House Mouse, a cleaning service that tidies up after Atlanta's elite. She's also a former cop and a part-time sleuth. She and her coterie of devoted helpers can ransack a house for clues faster than it takes a fingerprint to set. Some people might call Callahan Garrity nosy, but she prefers to think of her tendency toward snooping as a healthy interest in the truth. So when news reaches her of her cousin Patti's death during a carjacking, Callahan shakes off her House Mouse cleaning uniform to don her detective's cap. It's not that she doesn't have confidence in the Atlanta police—she used to be among their ranks—but the crime is too incongruous with Patti's suburban life to seem like a random incident. 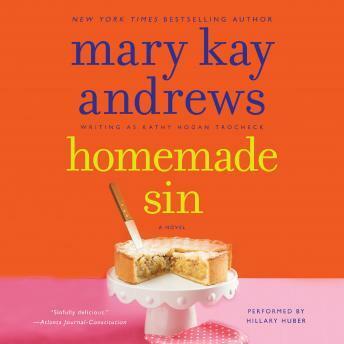 I am a huge fan of Mary Kay Andrews as I am a Ga native. I have read countless books of hers but this is the first audio version. It almost made me never want to listen to another one. The voice artist was like listening to nails on a chalkboard. The fake southern accents were laughable at times and the lack of research on how to properly pronounce the cities, roads and areas was quite frustrating. The varying character voices were terribly annoying and didn't offer much in the way of development. Next time choose an artist who actually is southern or has at least done their homework. I' really enjoy this series. I love the characters, and "characters " they are. I don't read reviews because I prefer to not be influenced by another's review. This series is such fun to listen to and I really like the humor . In my opinion there is not only humor, but, also heart in this story. Just my opinion and who am I to nitpick at a writers work. I would suggest that you read them in order. That way you get more of an understanding of the characters.